The Retail industry in India is rapidly growing as well as in the Global market. It has occupied a remarkable position in international as well as a domestic economy. India has high potential in this market. It has a low economic risk and moderate political risk. Brand reputation analytics or monitoring tools are extremely important to monitor social media listening, Digital media monitoring, Community management. Availability of analysis tools has provided relaxation to marketing team who have till now been doing it manually. Manual monitoring takes time, efforts, cover only limited platforms and manual analysis provides doubtful results. Monitoring is required for any brand for the smooth functioning of the business. 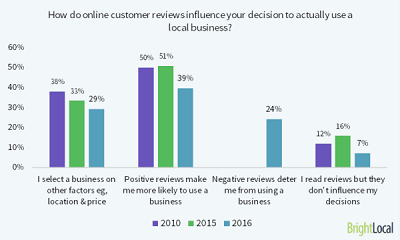 83% per cent of customer says online reviews influences their perception about companies or brand and most of them said negative reviews about the companies changed their mind and choice of purchasing. There is endless competition in the retail market, customers choose products on the basis of advertisements and reviews from ex-customers. Possibility of customer loyalty in retail is very remote and hence customers very easily switch from one brand to another brand in case of retail goods. 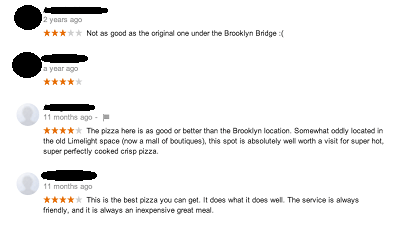 In the era of digital advancement, customers check online reviews and overall reputation of a brand before purchasing anything. There are some points which determine the importance of brand monitoring in the retail industry. The way the retail industry works has been changed due to the growth in digital world and adaptability of smart technology by the consumers. 8 out of 10 customers check online before buying any product whether it is a shirt, shoes or a tie. They prefer to check the prices online first. So it is getting very important for the retailers to understand the needs of customers what they want, exactly how they want and at which channels or platforms it need to appear to get maximum attention. There are some unique retailers which deeply understand the problem and need of customers and start producing unique products like Founder of Peebuddy understood the problem of women, targeted women audience and broke the boundaries of stereotype and started making women hygiene products. This is the perfect example of understanding customer’s call, First, try to research what customers need and produce according to the needs of customers instead of stepping in the market with your own choice of products. Brand analytics tools can help here for the market research of any new product market by analysing the choice pattern of customers on social media. It is very essential to monitor or analyse user reviews and the story of their experiences because at the end of the day customers are your end users and you have to keep them happy and retained to you only else they will the customer of your competitor from next day. If your product users are not happy or didn’t find your product up to the standard they will definitely post negative or unfavourable reviews on your business listings or any review portal, and here comes the need of a brand analytical tool. Your brand online presence should be monitored regularly; any negligence in monitoring can close the doors. 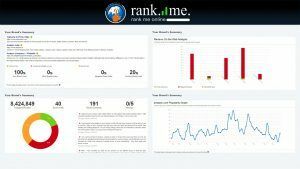 Manual monitoring takes too much time to measure the brand reputation but brand monitoring tools are the new automated tool combined with AI which works best and takes no time to determine the brand analysis report. A business should think and innovate in such a way which excites customers. Product quality, price, availability and appearance are the factors which need to be considered as a customer while buying. Make sure you are good at all factors every time to keep your customers with you for a long span of time. There are many companies which faced reputation crisis due to negligence on the product, service and workforce. Brand analytics tools helped them listen to the voice of customers through their reviews and make a planned strategy to concur to it. Brands like Samsung, Uber and Subway etc went through reputation crisis due to not vetting the workforce or technical negligence in the products which made these big brands suffer through crises but later on these players concord and continued. Brand analysis and monitoring gives a new way to the development of the product or services. The factor of satisfaction and crave for more highlights which part is Ok and which part or factor need to be developed. Brand monitoring also states on which channel a brand needs to give more attention and time and which channels are working well. Social media analytics tools help to get the details of what more customers are expecting from the product or what flaws they found in the product, is the product appearance good or what more modifications need to be done. Customers do not post their product reviews or delivery reviews only on social media or website even there is numerous reviews website which offers to add your reviews, that too needs to be monitored on the way to development. In the above example, review is clearly giving the insights of development to the makers. User is happy with sound, but left unsatisfied with battery backup. It clearly gives the insights to develop their product. So the need of analytic tool is still there because makers doesn’t have to open multiple tabs and check for the reviews. Analytics tools make it done very easily. 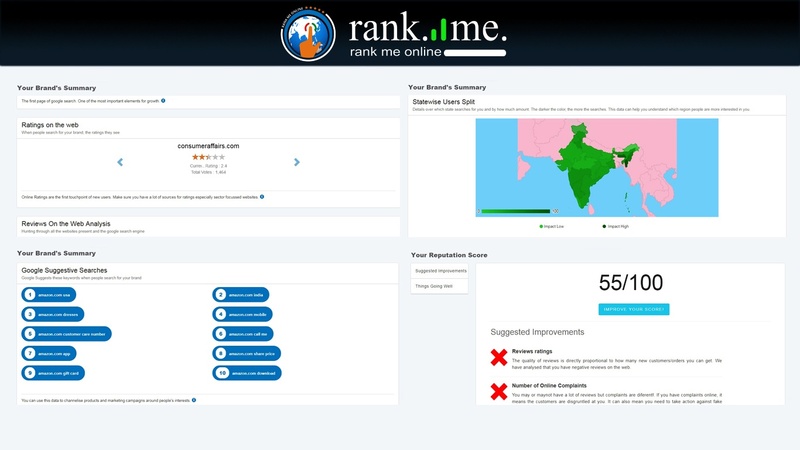 please check the below example of brand monitoring tool for the development in the product. Monitoring and analysis help to know yourself and to know more about your competitors. It is a good strategy to keep an eye on your competitors too while looking on your brand because analysis tools may help you to check the difference between you and your competitors but it is not easy to differentiate and compare your brand activities with competitor’s brand. So, Brand reputation monitoring tools are important, to know where you stand when compared with the rulers of industry and what strategy should be made to overrun your competitors. Brand monitoring tool proves as a data bank for retailers, a researcher can learn about the choice pattern, about the age, gender and community which are choosing you over others. Customer’s preferences determine the relationship and engagement about the brand. Monitoring on social media and sales with season gives you the way to make the strategy according to the season (at time customers are most likely to buy) and at a right channel (at a platform from where customers are most likely to buy) and at a right price (at a price where buyer and seller both agree). This whole process can be processed with the help of monitoring tool, manual monitoring will take too much time to analyse and interpret. Initiation of accurate strategy with relevant market research can help you strengthen your revenue by concurring your weaknesses and boosting your strength. Monitoring tool gives you the whole online presence about the brand which can be the source of the improvements. Which industry or companies can use brand analytic tool/brand monitoring tool? Is it useful to me? Yes, these tools are useful for any and every brand. No matter you belong from which type of company whether it is FMCG firm, Retail industry, E-commerce, Educational institute, university or college, big corporate or Small Medium enterprise. If you have sufficient online presence, these tools can give you sentimental analysis, customer’s insights through reviews and complaints available on the web, highlights which things are going well and which things need to be closely monitored and developed, reputation score, comparison analysis with your competitors and brand name mentions on anywhere on the web etc. It is worth mentioning the name of Digital brand monitoring tool RankMeOnline which caters all the above requirements to the entrepreneurs, corporate and SME’s. Even if you are a specialist like a photographer, makeup artist or event planner, this tool can help you to give your customer’s insights most beneficial to your need. Checkout this video for the steps to use our unique Digital brand monitoring tool combined Artificial Intelligence.